The Category: Family-friendly events in Worthington The Question: What Tuesday night event offers delicious pub food, fabulous drink specials and a night of competitive fun with your family and friends? 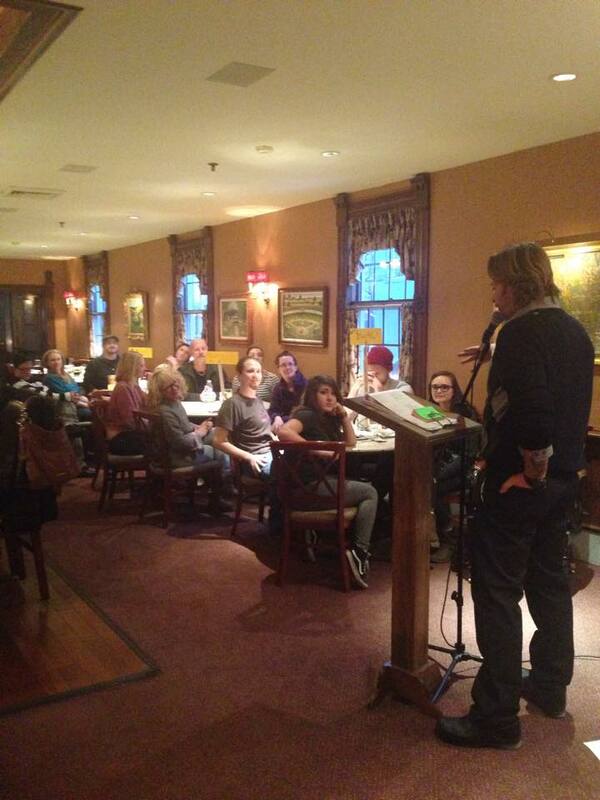 The Answer: Trivia night at The Worthington Inn! Trivia nights are growing in popularity at bars and restaurants around the country. While many rely on computerized devices for playing and scoring, The Worthington Inn adds a personal element, using their own Patrick Ennis as the MC. The game is similar to Jeopardy in that it is divided into multiple rounds with questions that pertain to a particular category, such as “U.S. Presidents." During each round, teams are asked a series of questions and are given time to converse and place a wager on each of their answers. At the end of the two hours, Patrick tallies the results and a winner is announced. The winning team is awarded a $25 gift card that they may save for later or use toward their pub tab for the evening. The night is casual yet competitive, and filled with laughter and friendly rivalry. While the trivia game is a great draw for people, the food and drinks are the icing on the cake. The Worthington Inn is known for its excellent cuisine, and the pub menu is no exception. It features an eclectic mix of appetizers and entrees, including house-smoked pork tacos, grass-fed Ohio burgers, warm kettle chips and Thai calamari. Additionally, Happy Hour prices are extended to the end of the event and guests can enjoy half-priced cocktails, wine and beer. “Many people view The Worthington Inn as a special place to dine for a birthday or celebration – and while very true – we want people to know that we are also a great place to bring your friends and family for a casual weeknight meal,” Kinsel said. So grab your friends and head on over to the inn this Tuesday for Trivia Night We're willing to "bet" you’ll have a great time! The Worthington Inn is located at 649 High Street in Downtown Worthington. Check out their fabulous menu and a full listing of their events at www.worthingtoninn.com.